Brand: Innovation First Age Suitability: 3+ Battery Requiremens: 2 x LR44 Included Supplier Care Line: For technical queries/help with set-up please contact Innovation First Helpline 00 44 1925454093 or email mandy_litter@innovation first.comfor customer queries…. 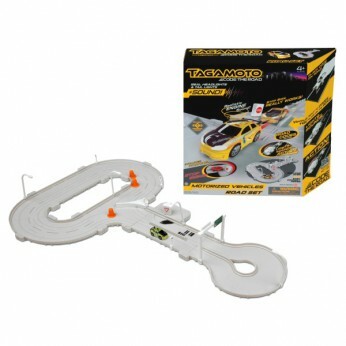 This toy costs approximately £14.99 (for the latest and best prices make sure you check our retailer list for the Tagamoto Road Set above). In our review of Tagamoto Road Set we classed it as being suitable for ages 4 years, 5 years, 6 years, 7 years but recommend you check the manufacturer specific advice before purchasing.